Z scale (1:220) was introduced by the Märklin company in 1972, and is one of the smallest commercially available model railway scales with a track gauge of 6.5 mm/​0.256 in. Z scale trains operate on 0-10 volts direct current (DC) and offer the same operating characteristics as all other two-rail, direct-current, analog model railways. Z scale locomotives can be retro-fitted with microprocessor based digital decoders for digitally controlled model railways. 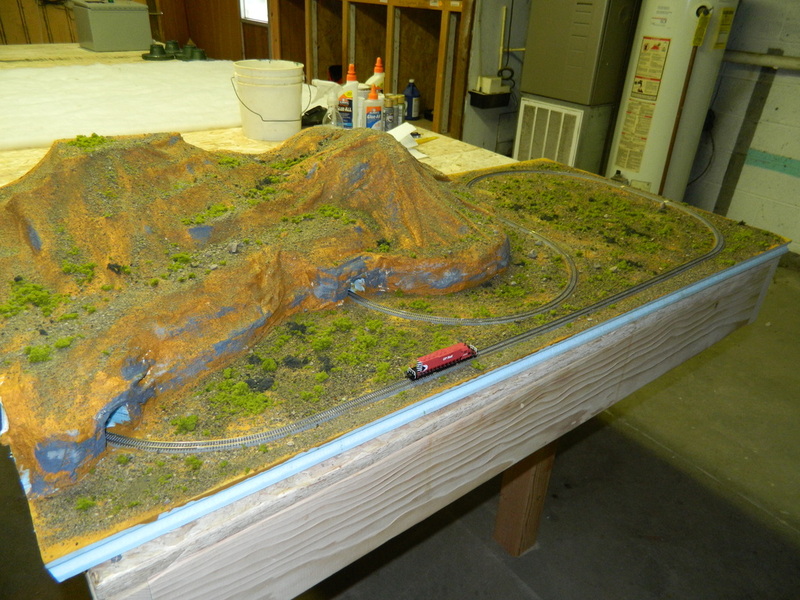 Model trains, track, structures, and human/animal figures are readily available in European, North American, and Japanese styles from a variety of manufacturers. This layout will be featured in our new home at the Chase Sports Complex!